Colorful, tempting with smell and flavors – an unforgettable experience for our Guests. The highest quality of service and only the local fresh products is what makes it feel so special. You won’t find a better place to try the ingredients of the local culinary art. Our Chef will be happy to prepare an individual dish especially for you. Based on natural and fresh fishes, vegetables and fruits. Food literally comes out of the ocean straight on your plate. If you’re looking for fresh fruit juices, our restaurant is the place for you. Our juices are squeezed only from fresh, succulent, local fruits. The great taste and beneficial health effects will make you start your everyday adventure at ZQH with a splash! 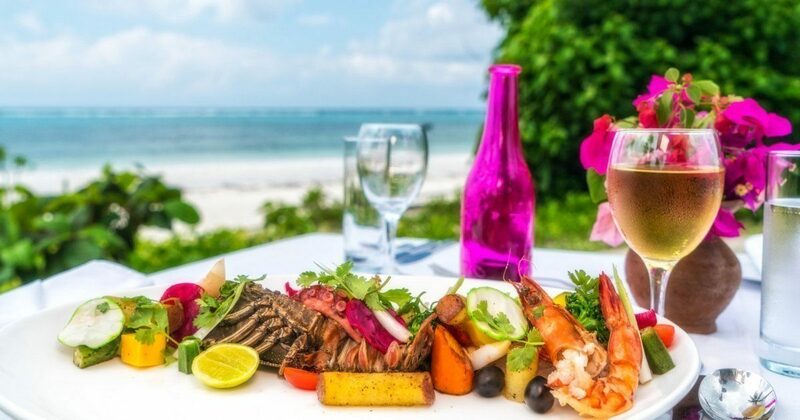 We bring various options to meet your taste menu a’la carte or maybe swahili dinner? We can also prepare buffet dinner and barbecue. What more can we do for you?